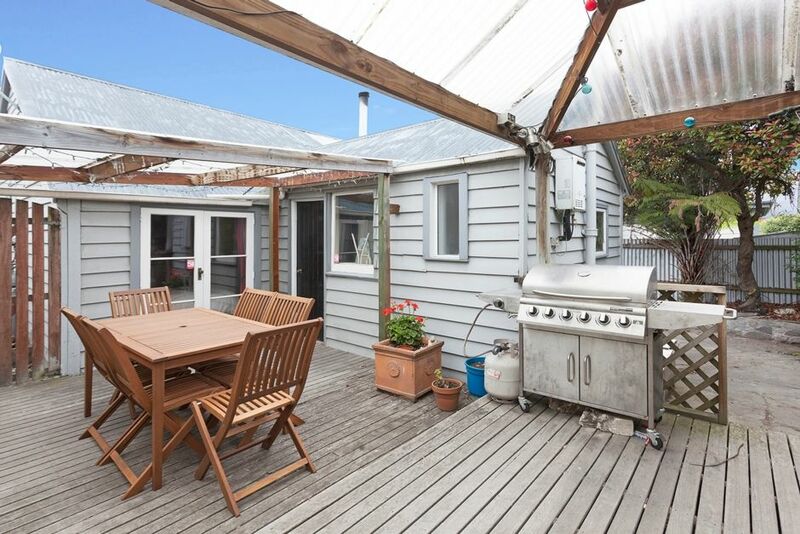 Located on Fitzgerald ave, this cute cottage with off street garaged parking makes for an excellent centrally located place to stay in Christchurch. This cottage is close by to the Canterbury Museum, and a 5 minute drive away from Addington Raceway. The neighbourhood is quiet and friendly which makes for a relaxing and comfortable place to stay in Central Christchurch. Please enjoy. I hope you enjoy your time spent in the cottage. There is a strict no party policy. Dinner guests are welcome but late night loud music or anything that is likely to disturb neighbours will not be accepted. it also is completely non smoking. This was certainly a place less ordinary. Much care had gone into the decor of this cute inner city house and there was much to appreciate. For us the main challenge was the road noise especially the boy racers on the Friday and Saturday night. Just couldn't sleep despite ear plugs! We also had difficulty getting in through the gate. We arrived around 8.30 in the dark and it took at least 15 minutes for the gate to respond to our attentions. The TV was also a challenge. Perhaps this in many ways, little gem is more suited to the younger, tech savvy age group than retirees like us. A suggestion. Some information on local buses would be helpful for non car travellers. Private oasis with so much character & comfortable, everything you need. From initially booking to the end of our stay we were well looked after. James was prompt and thoughtful in making sure we were well accommodated. The house has so much character. Perfect for a grown family of 5 with plenty of room to relax indoors and out. I really enjoyed staying here. It's a lovely place with a lot of history. There was a bit of a cold snap while I was in Christchurch and I totally appreciated the heating, which was excellent. Great little cottage ... we enjoyed our second, longer stay. Great central location. Hidden gem . Lovely cosy cottage. Great little cottage, cosy and warm. Great little cottage, cosy and warm. ideally situated to be able to walk into the centre of Christchurch in 10 minutes.